In school we learn about the political system, its structures and the names of ministers. However, these bare facts rarely culminate in a risen awareness of political work and hardly stimulate the interest in becoming a politician oneself. Being political weary is not uncommon among Germans of all generations. And especially with the upcoming elections for European Parliament on May 25th some initiatives try to turn political disinterest into political motivation (and maybe even allegiance). 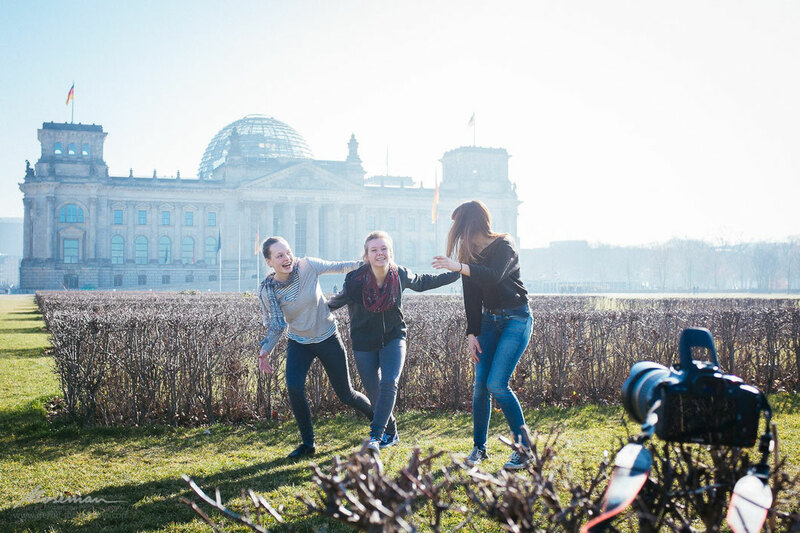 For example from next week on a “DEMOKRATIEmobil” is touring from school to school and offers practical workshops for political education. And politicians invite to talks about their political views and how the European Union affects every single person. If we believe statistics, since 1979 voter participation for the European parliament is on a downward trajectory. So if these efforts eventually work out has yet to be left open. Yesterday I was part of a parliamentary visit of a group of school students. The parliamentarian Karamba Diaby invited a group of school students to answer their questions and to give insight on the daily routines of a parliamentarian. The situation felt awkward at first. At one o’clock we met in a very narrow conference room. The silence of the students made the impression of insecurity on me. Of course, no one had ever told them how to deal with a politician. But Diaby tried to ease up the tension. He entered the room, sat himself casually on a table and just started to talk. After the ice was broken the students read the questions they had prepared on the train. They were not shy anymore and dared to ask more critical questions, too. Diaby on his part didn’t avoid giving answers and explaining the political process behind specific decisions. During the discussion I observed two things: First, I noticed an honest interest in each other. The kids were eager to find questions in advance. And Diaby on his part didn’t make the impression of handling our visit as mere routine. Instead, he answered all questions in detail and showed us around in person. Second, the gap between students and politician could just be overcome rudimentarily. 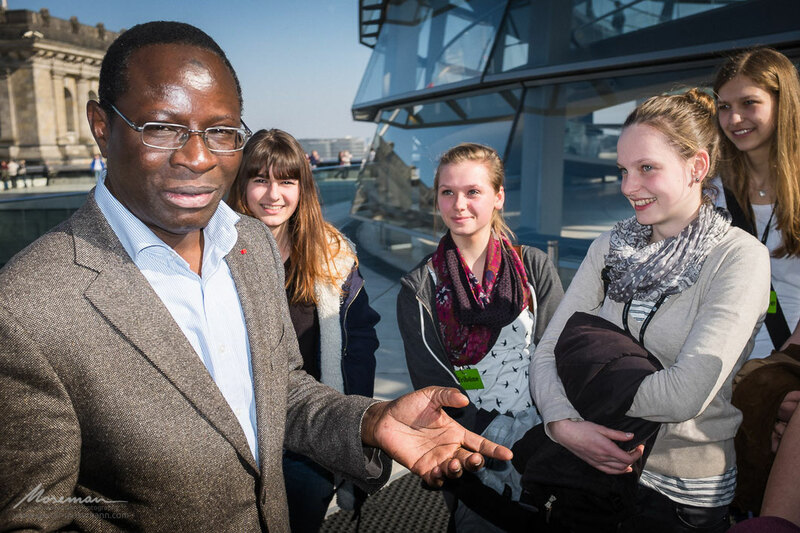 Compared to other politicians I met, Diaby tried to act very easy-going and let himself get involved with the students. Informal talks or a vivid discussion however, did not arise despite Diaby’s generously measured time. Maybe it takes more than just a short visit to parliament to encourage political participation and sustainable dialogue. But our trip was definitely a first and essential step. I am sure that next time in school these students know better how committees work, why elections are important and why we need politicians. Perhaps for some our trip has triggered awareness for politics and narrowed the gap between politicians and citizens a little. However one thing is certain: It will take curious students and committed politicians to ensure democracy also for coming generations.